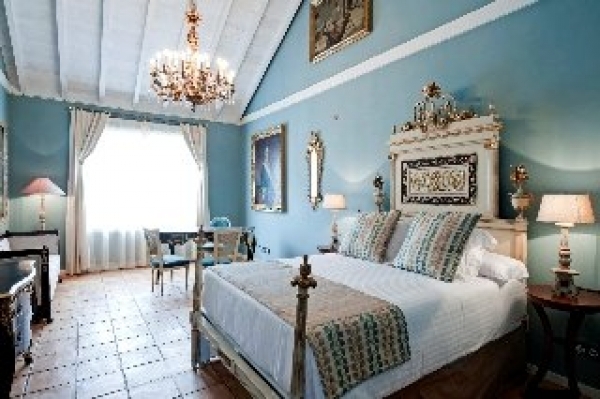 Loveley 5-star hotel only for adults in the historical centre of Tazacorte, at the west coast of the Island La Palma. If you are looking for an exclusive hotel offering an inforgettable holiday on this Island, then you don't need to look much further. The hotel features a collection of artwork that represents the largest contribution to La Palma artistic heritage since the seventeenth century. Surrounded by lush gardens with exotic plants and botanical rarities this adults-only hotel offers individually decorated rooms with sea views or overlooking exotic banana plantation. Though historical rennovated they all provide modern facilities like air-conditioning, free WiFi, flat-screen multimedia TV, MP3 players and iPhones. Enjoy free Spa access too. The hotel features a restaurant which serves local cuisine with international influences. There is also a selection of restaurants and bars in the area surrounding the hotel.